My dad grew up around Lynwood and Lakewood, CA. In 1987, right after high school, he joined the Army National Guard, where he trained in South Carolina and Georgia. He then transferred to the U.S. Marine Corps, where he did most of his training in San Diego, Camp Pendleton, and Georgia. He was an Infantryman who quickly specialized in weapons. He was stationed in a MEU-SOC unit (Marine Expeditionary Unit - Special Operations Capable) in Camp Pendleton, CA. After My dad was discharged from the Marines, he Joined the U.S. Army Reserves Special Operations Forces- Civil Affairs. He finished his time and went on to win custody of me and my brother in 1998. He was raising us as a single dad when, in 2006, he knew he had, again, another duty to his country. 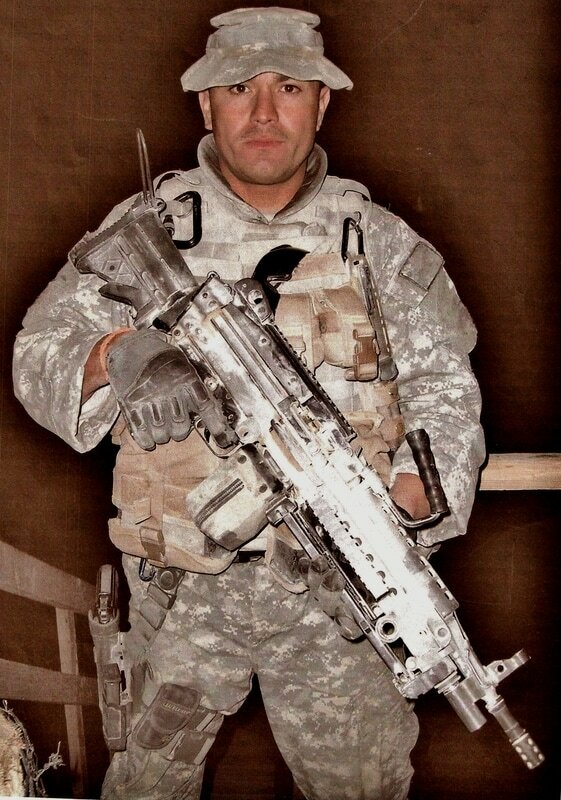 He joined back up and was deployed in 2007 to Afghanistan with the 82nd Airborne Division out of Ft. Bragg, NC. From speaking with his fellow soldiers who served with him, they have nothing but good things to say about my dad and how he looked out for everyone and took care of them. My dad received several combat injuries. He is a purple heart recipient, and I am very happy he came back home to us. My dad has been living in Lakewood for two years, but he grew up around Lakewood because of family that lives here.